Talk From The Rock Room: Take One: Cream 'When I Play My Guitar' 1966 'B' Side N.S.U. Take One: Cream 'When I Play My Guitar' 1966 'B' Side N.S.U. 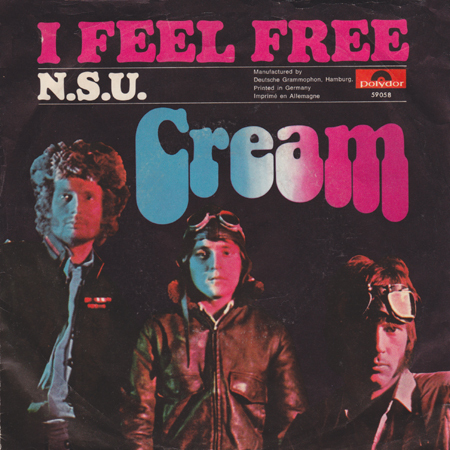 Spinning today in the ‘rock room’ and the focus of this ‘Take One’ feature is the flip side of Cream’s 1966 US/UK single ‘I Feel Free’, the song ‘N.S.U’. 'N.S.U.' was also featured on the debut full length offering by the British power trio, Fresh Cream. The Jack Bruce penned number was the first song Bruce specifically penned for the band while preparing for one of their first rehearsals. The ‘I Feel Free’ b/w ‘N.S.U.’ single followed the band’s debut ‘Wrapping Paper’ which shined a spotlight on the group, but was not as representative of their developing aesthetic as the ‘I Feel Free’ single.‘NSU’ found on the flip, would go one to become a concert staple for the group, routinely surpassing 10 minutes in length and becoming a three pronged musical trident of psychedelic jamming and superior competitive musicianship. It's humble beginnings as an album track and 'B' side in no way represent the songs importance as a jamming vehicle and building block for the Cream sound. In a recorded interview with Jack Bruce which you can watch here, Bruce demonstrates the song on bass in addition to numerous Cream classics, as well as explaining the origins of the title. There have been many statements on the specific meaning of the song including it referencing a European automobile. Here Bruce confirms and humorously states for all that ‘N.S.U.’ stands for ‘Non Specific Urethritis’, which is a commentary on a venereal disease that someone in the band was unlucky enough to catch during one of their rock and roll romps. Bruce states he cannot reveal who the song was referencing, but it may have been a certain guitar player. Lyrically the song is a flip book of Bruce's thoughts regarding rock and roll celebrity, while spiced with a dash of hallucinatory wonderment and confirmation. ‘Happiness is just something that cannot be bought’ and ‘I don’t want to go until I’ve found it all out’ are examples of the lyrical revelations which Bruce sings about. The 'in, out' lyric is one I'll leave to your own interpretation. 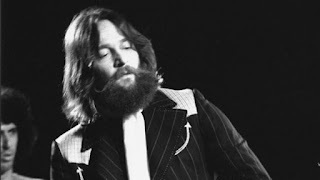 The original single/LP version of the song is introduced with Ginger Baker’s resonate tom-tom rolls to which Clapton locks in with a carnival picked guitar line. Bruce drops the anchor with a weighty bass under layer as the lyrics begin. Each verse is separated by Clapton and Bruce’s descending and druggy ‘Ahhh’ vocal refrains to which Baker responds with waves of rolls across his kit. A short pause is revealed to which Bruce chops at his ropy ‘E’ string rhythmically before a snare crack returns us to the kaleidoscopic verses. The result is a cloudy blues romp trademarked with Cream's recognizable big vocals ( see White Room). Clapton solos briefly mid song with a quivering and distorted scribble across the song’s theme but the portal is quickly closed before the song returns the verses contained succinctly kept within its three minute package. ‘NSU’ is also represented by two provocative and destructive live versions featured on official releases. 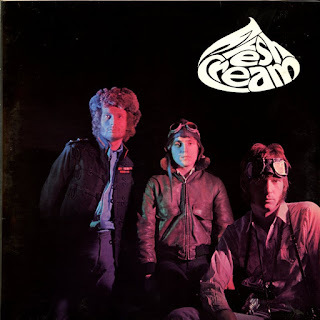 Versions from both March 9 and 10 1968 at Winterland arena in San Francisco have found their way into fans hands via the 1970 Live Cream Volume 1 album and on the Those Were the Days box set released in 1997. Where Clapton’s brief solo resides in the studio version, on stage it is split open like a fragrant piece of felled timber, the ax revealing multiple layers of historic improvisation. Both live renditions immediately race toward the horizon on Bruce’s horny and hearty bass, The jam dynamically swells post verses through a series of blues snippets and Clapton conjured melodic magic that first crescendo, then sniff the floor wildly for other doorways to explore. The version from the 9th is worthy of its album release, but the version on the 10th has much to offer as well. The joy to be found in these particular live versions is to be discovered in the role reversals that take place between Clapton and Bruce. Clapton will mine a riff that he likes and repeat it, stitching designs with Baker’s drums while allowing Bruce to ‘solo’ dramatically. Bruce then responds in kind hammering out a guttural foundation with dangling notes that Eric then takes flight from. Clapton pulls from his well of influence, using blues based ideas that morph into exploratory statements. The musicians compete for space, but once they find a common ground they meld into one molten instrument that covers the surrounding landscape. In particular, the jam on the 9th becomes disorienting in its madness. The sturdy bones of Baker allow for the strings to have complete freedom and the result is a stunning piece of improv by three virtuoso musicians all peaking at the right moment. 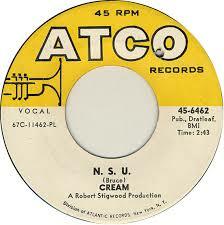 Cream’s 1966 single ‘B’ side ‘N.S.U.’ is a not just a formative song in their catalog, it is a representation of the conglomerate of factors that make them a recognizable power force in rock history. Their fearless group improvisation, heated egos and astronomical talents combined to make a series of unique musical statements over a very short span; and ‘N.S.U.’ helped to initiate this creative rush and historic process. The three principals would eventually be jettisoned into legendary careers of their own, but for three years in the mid 1960’s their collaborative relationship spawned sonic alchemy.